Five hours of English study can be tedious, so we love playing games in class. 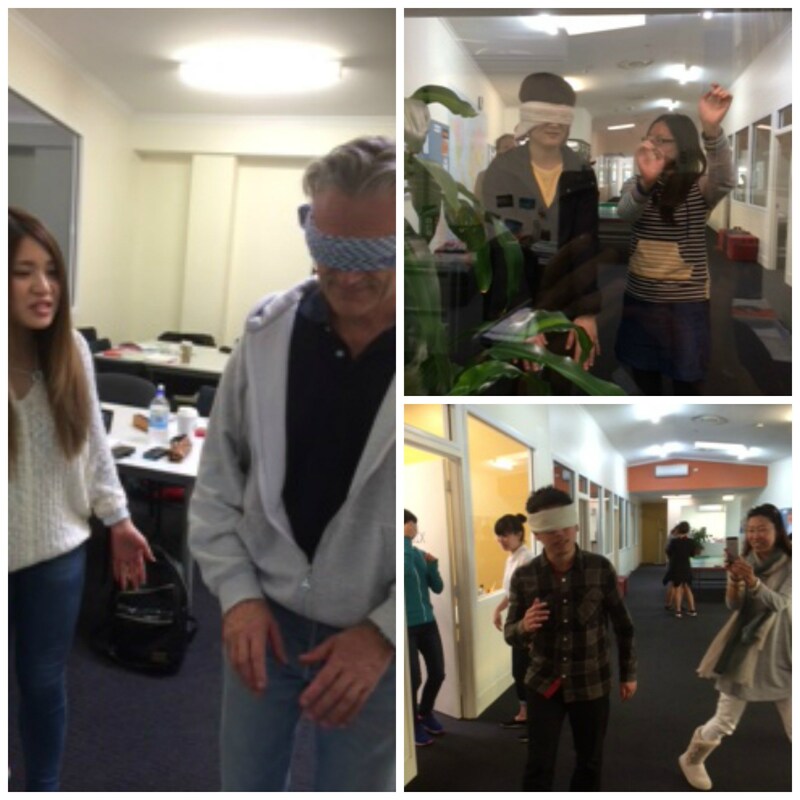 Here are Lucas and Naoko, Jerome and Izumi and Sun and Ai having fun in Michelle’s option class “Listen and Talk”. Being blindfolded they’d better listen to the directions given by their class mates!